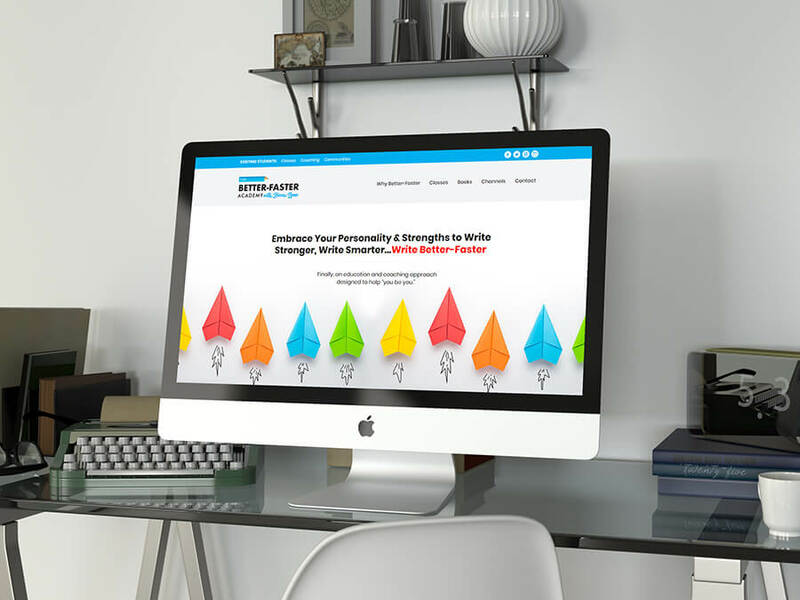 Author and strengths coach Becca Syme desperately needed a new website that better captured her unique personality and working style –– not to mention better positioning her classes and promoting an upcoming book launch! Along with A3K Advertising, we completely redesigned her brand to not only better capture her personality but to help support her aggressive growth plans for classes, social channels, and book launches for years to come. Built in WordPress, the site is easy to update––including a built-in testimonial section that allows for one-stop updating to multiple class pages. The site also features an online forum using Website Toolbox, which is designed to help foster sharing and discussion between current students and alumni. Client Better Faster Academy, A3K Advertising, Inc.